Happy Friday! That means it's time for another fabulous Get Sketchy sketch. 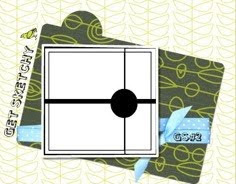 This week's sponsor is The Cutting Cafe, and YOU can win 3 digital stamp sets as this week's prize! The design te am was lucky enough to get to play with some of The Cutting Cafe's fabulous printable images. I chose this yummy ice cream cone and sentiment from the Sweet Stuff set. I colored the image with Copics, then added Cotton Candy Stickles to the ice cream. Some fun patterned papers and rhinestones finish it off. I'd love to see you play along with us this week. Just link up your creation on the Get Sketchy blog. I can't wait to see what you come up with! I love your pretty summery card! Smashing image with beautiful colours too. Fabulous sketch, and gorgeous card. Might have to have a play along with this sketch. What a 'sweet' card Ann! Love the candy Stickles! Good job! Sweet card! I love anything with stickles on it! This is so cute. Love the image and sentiment. That font is so pretty. Great layout and colors. I think this card is my new favorite of yours! It's too cute! Hope to play along with this one too! Totally Sweet card!!! Very yummy! Love the touch of bling! Between all the hurry...you made a wonderful card! Love the colors! Yum! What a delicious card!! Super take on the sketch. Adorable card Ann!! Love the little ice cream! "I scream, you scream, we all scream for ice cream!" TOTALLY cute Ann! I really like that dotted paper with the icecream cone. Totally sweet! The ice cream cone is adorable! love the colours and theme of this card...it's the weekend!! Enjoy and rest!! Wonderful take on the sketch. I love swirly ice cream cones! Totally SWEEEEEEET, dude! Just like you, darling Ann! I'm so glad you are desinging for this sketch challenge: I'm dying to play along! Very sweet, indeed!! Love those polka dots with the darling ice cream cone! So cute Ann! I love the ice cream cone! Too cute! This is such a cute card Ann...nice work! Cool sketch! I really like your card! What a FUN card! Great colors, great adaptation of the sketch, great bling! Great images (esp. that sentiment!). One fun card! This IS sweet! I love the ice cream cone! Yum! Now that looks yummy! Makes me want some soft serve! Sweet and yummy! Great DP you used with the image!